Category: Mirrors Freestanding.Tags: Salon Furniture, Salon MIrror, Salon Styling Mirror. The Vega is our new version of a Salon Styling Mirror that is included in our Salon Furniture collection. 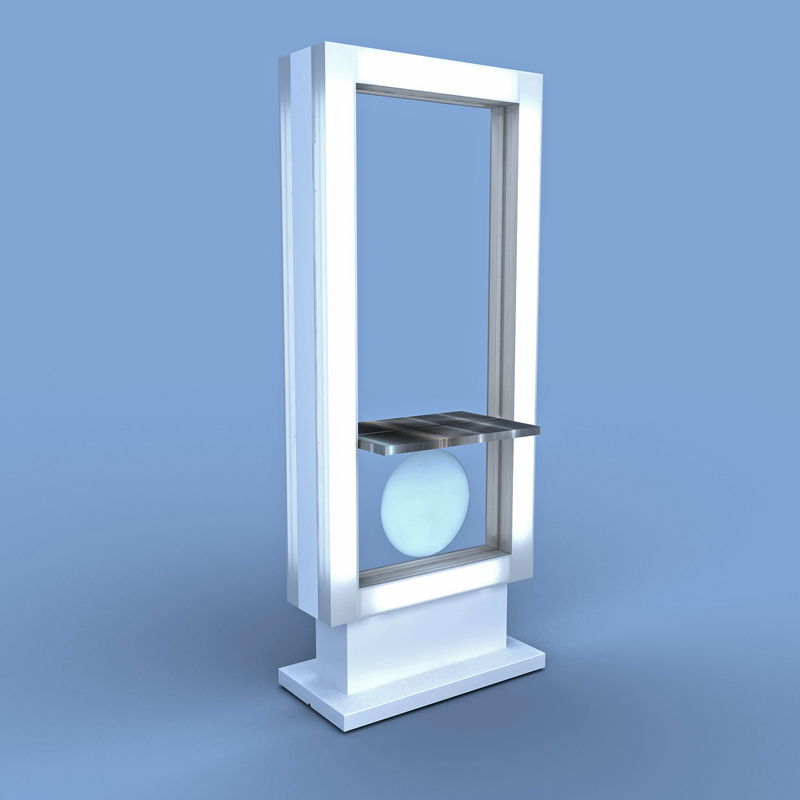 It is offered in a freestanding mirror, double sided mirror or Wall mounted mirror. It has beautiful LED Illumination and has the option of a stainless steel shelf and courtesy glass options.